At Integrated Systems Europe 2017, Astro Spatial Audio (ASA) will partner with Alcons Audio to showcase the creative potential of fully object-based immersive audio. 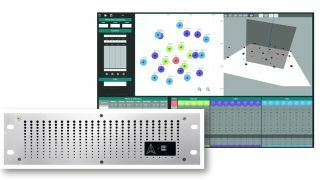 ISE visitors will be given the chance to experience the flexibility, and power of ASA’s SARA II Premium Rendering Engine, which harnesses the power of SpatialSound Wave (SSW), to deliver new tools in 3D sound and room acoustics. In Hall 6, on booth H148, ASA and Alcons will present a complete “immersive pro ribbon experience,” with demonstrations taking place every two hours throughout the show. Attendees will be able to meet with Bjorn Van Munster, ASA director, and Florian Richter, a mixing engineer and expert in spatial audio productions. Together, they will be available for personal consultations, and to discuss Astro Spatial Audio’s immersive audio for live sound, theatrical, and installation settings. With short latency, the SARA II Premium Rendering Engine uses the patented SpatialSound Wave (SSW) technology, developed by the Fraunhofer Institute for Digital Media Technology IDMT. The system can accommodate up to 64 MADI or 128 Dante configurable network pathways, all of which are assignable to at least 32 audio input channels. Ease of operation is improved by browser-based access to a user-friendly GUI, with simultaneous control from up to 10 devices. The result is real object-based immersive audio that is scalable for nearly every application.